Here are the job search add-ons that make Firefox the only browser for job seekers. I'm not just saying that. Google Chrome only has a few extensions for searching job boards, while Internet Explorer has no specific job search add-ons at all. All the add-ons mentioned here can be found in the Best Job Search Add-ons collection I created on mozilla.org. Search plugins add a specific search engine to your browser's search box. Indeed Job Search: search Indeed.com, one of the biggest job search engines in the USA. 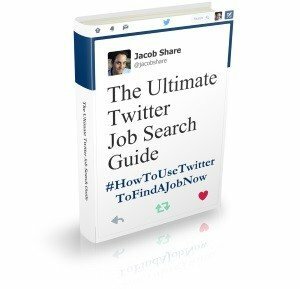 Jobtweet.de – Twitter Job Search engine (English version): search Twitter for job openings from English-speaking countries. Other versions of this add-on search for jobs in Russian, French and German. 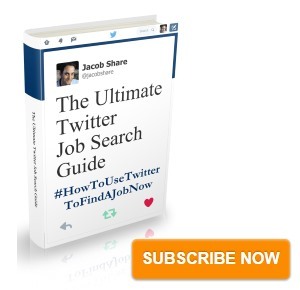 TwitterJobSearch: Search Twitter for job listings. CharityJOB: search for fundraising jobs, charity jobs, and third sector jobs in the UK. oDesk Jobs: “from within your Firefox search bar, simply type a query and browse through matching oDesk assignments.” Another freelance job search add-on. Super add-on tip: use the terrific Add to Search Bar add-on so you can search any website directly from Firefox's search box. I try to avoid installing toolbars because they're rarely worth the space they take up on your screen. Just remember you can hide each toolbar until you need it (right-click in the toolbar area, and then uncheck the name of the toolbar to hide). Linkedin Companion for Firefox: Search for a job by seeing who in your network can connect you while browsing major online job sites. Most useful for the LinkedIn JobInsider sidebar panel that will show you contacts on LinkedIn from the company whose job listing you're viewing. Firefox Super Search – “over 160 of the best people search and web search engines in one handy add-on, including 67 searches that can be done right from the toolbar, without having to visit each site and retype the name or search term that you are searching.” Most useful for the built-in, US-based search engines and people searches, most of which I told you about in my 200+ Resources and Tips To Help Manage Your Reputation Online. JobSpeaker: helps you manage your job search by allowing you to save, rate and track jobs that interest you and also lets you forward or tweet jobs to your friends. A nice idea. pBot, job applicant: “pBot was a project conceived out of frustration with the job application process; specifically the pseudoscientific ‘personality test' that seems to tacked on the end of every application for even the lowest level jobs. Instead, pBot will fill out Unicru job application ‘personality tests' for you.” More information at the add-on's official site. I'm not recommending you use this tool, but it's worth knowing that it's out there. If you liked this article, you'll enjoy RSS: The Best Job Search Tool You’re Not Using Enough. Subscribe to JobMob via RSS or email and follow me on Twitter for the best job search tools in your browser. I didn’t see that any of these could be used in Israel or did I miss something? Hessel- actually, the only addons that are no use at all for Israeli job seekers are the non-English ones, Indeed Job Search, and possibly the pBot addon. The freelance addons are handy for freelancers worldwide, while the Twitter-oriented addons can find Israeli jobs as well. I looked at http://www.jobsearch.com and the dropdown box for ‘where’ is limited to States in the USA. How could I use it to include Israel? I don’t understand. Which addon are you referring to? Sorry, I’m new to Firefox and didn’t understand the power of the add ons. Not sure if I do now but, on investigation, I think I can see what you mean. I’m afraid I find add-ons to be the most problematic part of using Firefox.